It Just Might Become Your Favorite Package! Every three months GERTIE sends you a box containing two literary books (and surprises!) lovingly selected by the editors of Gertrude Journal. 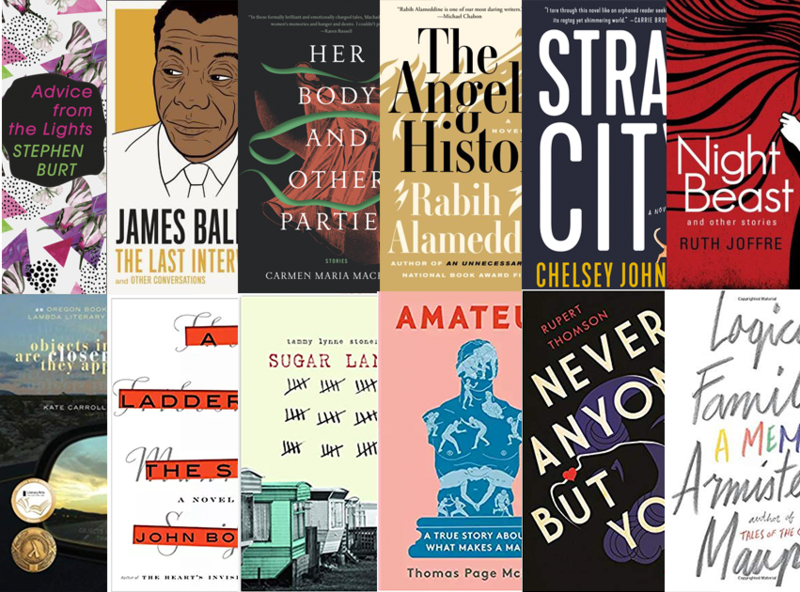 These books, written by emerging & established LGBTQ authors, are sure to make your day a little more fabulous! 1. Hit the SUBSCRIBE link under the picture (best not to use SAFARI). ​Choose from The Boy Box (if you want only gay fiction), The Girl Box (if you want only lesbian fiction), or The Queer Box (open to any possibility). 2. ​​ Be automatically billed $42 every three months. Enjoy FREE shipping in the US and $8/box to Canada. For Europe and Australia it's $30/box (ouch, we know, but it's the best we could do!). WHEN DOES MY BOX SHIP? We ship on the 15th of March, June, September, and December (Holidays!). You may order up until the 15th to get that box (otherwise your order will start with the next one). IS THERE AN ON-LINE COMMUNITY FOR US TO CHAT ABOUT OUR BOOKS? Why yes, there is. Right here on Facebook and here on Goodreads, where you can find a list of all our chosen titles. WHERE CAN I SEND A BOOK OR CATALOG FOR CONSIDERATION? If the book in question is from a reputable publishing house (no self publications, please), we would love to send it through our panel of readers. Please email Tammy - and thank you for thinking of us!